Hi guys!! Today I wanted to post a picture of the Blue Brown Halo Eye that I did. I apologize in advance for these pictures as they aren’t the best quality. 😬 In terms of the entire face, I did the same as usual, so if you are interested take a look at my fall makeup tutorial that I posted last week. 😊 Instead, I’m just going to go ahead and give the details on my eyes only! 1. I started with the MAC Painterly Paint Pot all over the lid and to help underline my brow. I then set that with a creamy white shade to help blending. 2. 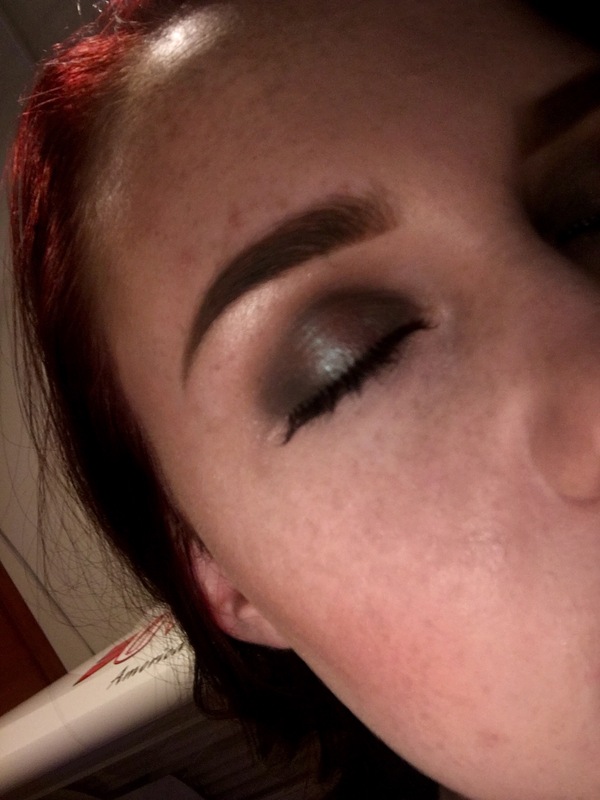 I started with a cool Brown shade in the crease, that I used from the Morphe 35O palette, but any cool brown will work. 😊 I blended that throughout the crease as my transition shade. 3. Then, I used a slightly darker cool brown to help define the ‘halo’ effect. To get the halo effect, apply a darker shade to the outer and inner corners of the eyes, leaving the very center free of shadow (you will put shadow there later). I applied that cool brown to the inner and outer corner. 4. I then applied the MAC Blue Brown pigment (I bought a pressed pigment online) on the center of the lid. I really patted this on to get the color payoff that I was looking for. 5. After the pigment was on, I applied a dark brown to the inner and outer corner of my eyes, and blended that into the pigment. It definitely takes a little bit of work and time to keep the color payoff of the pigment that you want, while still blending it all together. Just take your time until you get the shadow look that you desire. 😊 I also applied the shimmery white from the Studio Makeup On-The-Go palette to my browbone to highlight. 6. 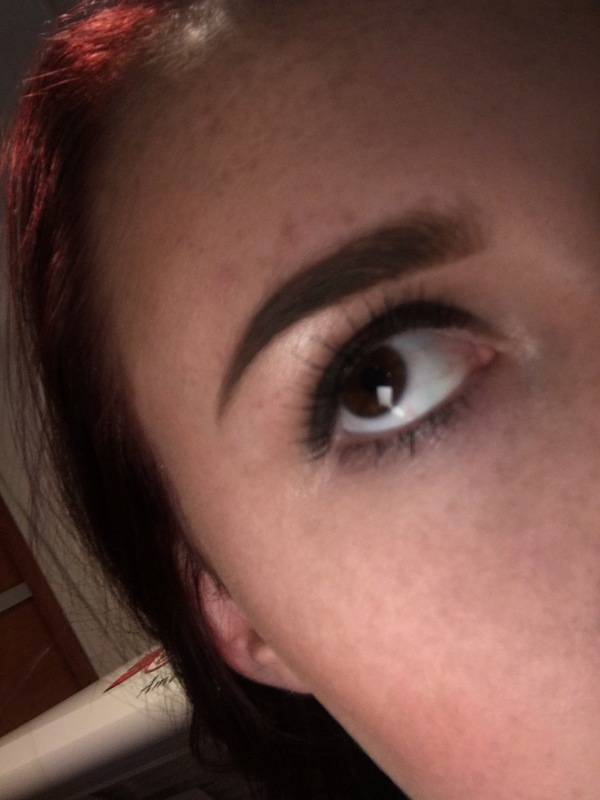 I applied the dark brown to the outside of my lower lashline, and then blended that out with the second cool brown shade that I used. 7. I then applied mascara (Dior It Lash) and then applied some simple lashes, I used the Ardell 110s.